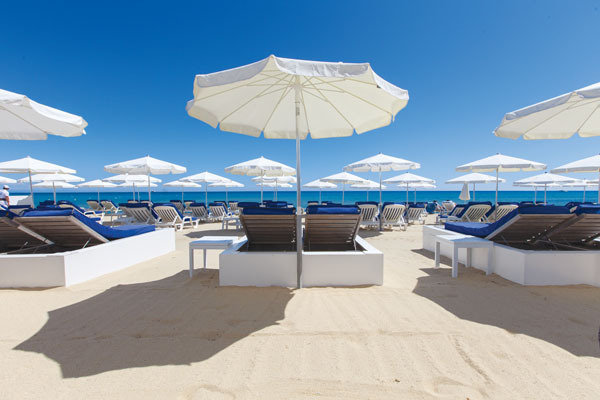 With outposts in every major jet set party city around the world, Bagatelle is known throughout the world for their boozy brunches filled with the beau monde. 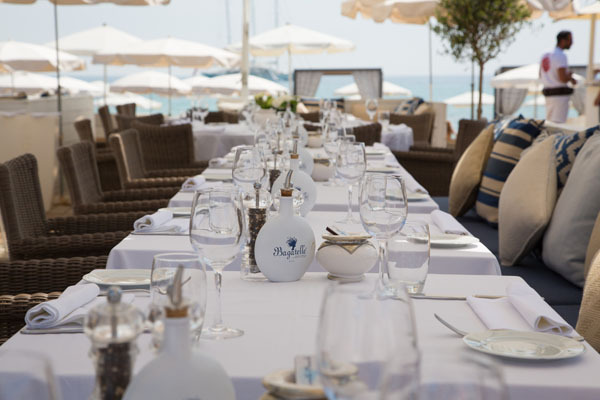 This quintessentially French Mediterranean hotspot can be found in NYC, Dubai, Sao Paolo, Rio, St. Barth, Miami, Punta del Este, St Tropez, and opening this spring in Monte Carlo, bien sur. 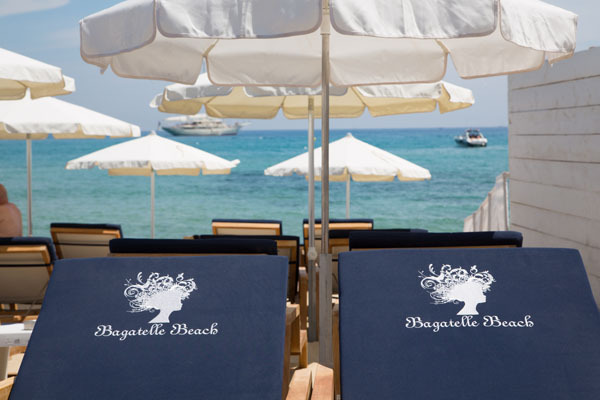 Opening in time for the famous Monaco Grand Prix and summer Cote d’Azur season, we spoke to Bagatelle’s co-founder, Remi Laba on his secret for success and how Bagatelle has become a magnet for the rich and famous, attracting the international jet set crowd for over a decade. RM: What was your original concept for Bagatelle? RL: In 2007 we wanted move from our background in nightlife to something more restaurant driven and we basically wanted to create a restaurant that is very European; that resembles both myself and my partner, Aymeric Clemente, as we are both French and from the South. We thought that bringing this essential environment into an urban destination like New York could be fun. That was the initial idea. Secondly, we wanted to make sure that world hospitality was at the forefront of the industry because we felt that customers felt that they needed to thank the owners or doormen to get into trendy restaurants, which we thought that was a bit strange. We always believed that restaurants, whether its owners, its staff or anyone involved, should be very grateful towards guests, no matter how successful the restaurant is. We also wanted to create a trendy restaurant with a spectacular atmosphere that is also known for their great food. RM: Can you tell me what makes your restaurant unique? RL: What makes us successful is that we don’t take our success for granted; we provide a very authentic experience of dining in the south of France. We make sure that any time a customer comes in they have an experience and not just a meal. We try to constantly also make them feel special and recognize them for the business they give us. Finally, I think that our success is built on staying fresh constantly, not staying still and making sure that everything evolves, including the menu. As we keep opening other venues, we still have a very neighborhood-like feel. We make sure that we know our guests, and remember them. These are all the reasons why Bagatelle is so successful. RM: Compared to other top-notch French restaurants, what’s the difference compared to yours? RL: The key is entertainment. 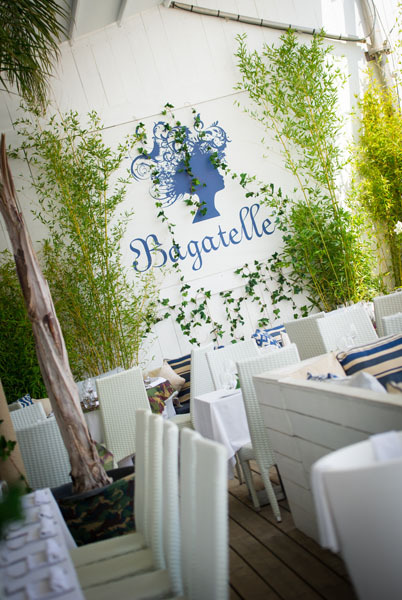 Bagatelle is more than just the meals that we serve. We have great art on the wall, great DJs, you can have a great meal and also have some fun and dance no matter the hour. RM: Was it challenging to establish the brand? RL: I’d like to say yes but for us it wasn’t. We were lucky as customers endorsed us right away. We finally opened in 2008 and six months later the whole world was in shambles because the biggest financial crisis started and a lot of restaurants were closing. Yet we ended up rising because people recognized that no matter what happened, when they came to Bagatelle it brought a lot of vitality to their life…they had great times… if they had a bad day it would make their days a bit sweeter and it was a great place to celebrate life. Our first customers became big fans of the brand and big ambassadors. We stayed true to ourselves and our values. The real challenge is to stay relevant and to maintain the relevance. I think that’s more of a challenge. RM: How do you maintain your status? RL: We keep bringing new things to Bagatelle, whether it’s a new artist on display, new menu items or new locations in key destinations like Rio de Janeiro or São Paulo. We also try to keep close to our customers, and be very involved in their daily lives, so that they don’t forget about us and we certainly don’t forget about them. RM: Has it always been your dream to own a restaurant? RL: My partner always wanted to open a restaurant. And from the moment we were in business together we always wanted to create everlasting memories through events created for our guests, whether it was in a nightclub or in a restaurant. We wanted to create a restaurant brand that people remember, cherish and come back for. To be able to see guests leave with a smile on their face is what makes us proud about what we achieved and it also makes us love our job. RM: You said that you’re from the south of France, which explains your love for the French cuisine, obviously. RL: Absolutely. I think that one of the reasons why we stayed true to the South of France cuisine is because people gather around the table and they share a fantastic moment; in France we call that the joie de vivre, happiness of living. So for us this was the main driver. We wanted those meals to be shared and not just a place where you go to and eat. RM: Do you have a favorite dish? RL: I have several favorite dishes. On our menu, anywhere in the world the Gnocchi Truffés à la Parisienne is my absolute favorite, it’s a classic. And from our main courses I am a big fan of the Poulet Fermier Rôti et Truffé (truffled roasted chicken). I love that dish! RM: You seem to know each other well. Do you often agree with each other or is it challenging at times, as well? RL: With every partnership, there is agreement and disagreement, but when we disagree it means that we have two different ideas and the compromise is usually what makes Bagatelle unique. But, we also respect each other’s skills very much. We do very different things. What makes the restaurant special is that Aymeric understands food better than anyone I know. When it comes to designing menus, even if we disagree he’ll prevail. When it comes to business, marketing and so on, that’s my field. But, obviously, we have many long conversations over things, but Bagatelle would not be what it is if it wasn’t for differences, as well. RM: Is there anything else you would like to share? RL: What makes Bagatelle special is that we have a great collective of fantastic sous-chefs that have all spent 10 or 15 years at Daniel or other renowned restaurants. That is one of the greatest unknown facts about Bagatelle; the high-level professional chefs we have working in every one of our kitchens.